The global response to the climate crisis is increasingly dominated by two forces – we’ll call them the disruptors and the distractors – which may seem to be at odds, but are heading – increasingly – in the same direction. That direction is geoengineering: the use of unprecedented planetary-scale technology to cool the planet. The disruptors most prominently hail from Silicon Valley. Facebook’s early motto, “move fast and break things,” applies to the ethos of most Silicon Valley startups, which tend to have business models based on upsetting existing apple carts. Uber disrupted taxis; AirBnb disrupted hotels; Amazon disrupted bookstores. Geoengineers want to ‘disrupt’ the climate system. Disruption often works by hyping a technology as transformative. The technology in question then becomes the subject of coverage in publications like Wired, Fast Company, and TechCrunch. Where hype goes, investment follows. Because startups often promise the potential to take over global industries, money-losing companies with experimental business models can achieve multi-billion-dollar valuations. The disruptors now have their sights set on the business of climate change. Bill Gates has invested millions in developing geoengineering technologies to hack the planet, and some Silicon Valley figures have followed suit. The US is currently on track to host three major open-air climate geoengineering experiments. The planned experiments are all attempts to develop ways of reflecting solar energy away from Earth, back into space. Each proposes a slightly different technique. SCoPEx is led by billionaire-backed technologists from Harvard who want to spray chemicals into the stratosphere near Tucson, Arizona to test their ability to reflect sunlight back into space. The Marine Cloud Brightening Project features tech industry veterans with backing from Bill Gates, who are planning to spray seawater into clouds off the central California coast in pursuit of similar effects. The Ice 911 Project also aims to reflect light back into space, but by covering ice with tiny glass spheres in the Arctic. These are, to use Silicon Valley’s terminology, “vaporware” — technology that exists in theory, not practice. But they’re hoping that the hype will trigger investments and become a self-fulfilling prophecy. And that’s one of the main reasons geoengineering is seen as so dangerous: even the false promise of a technofix could encourage investors and government to keep backing doomed fossil fuel industry and delay investments in alternatives. This is called the “moral hazard” of geoengineering. The moral hazard is one of the many reasons geoengineering tech hasn’t been developed, and it’s one of the reasons 196 countries support a moratorium against open-air geoengineering. Manipulating the Earth’s climate by changing the amount of sunlight entering the atmosphere could also have unanticipated effects on global weather patterns. Computer modelling has suggested that large-scale solar geoengineering would disrupt the monsoon in Asia and negatively affect rainfall in northern Africa and South America affecting billions of people. 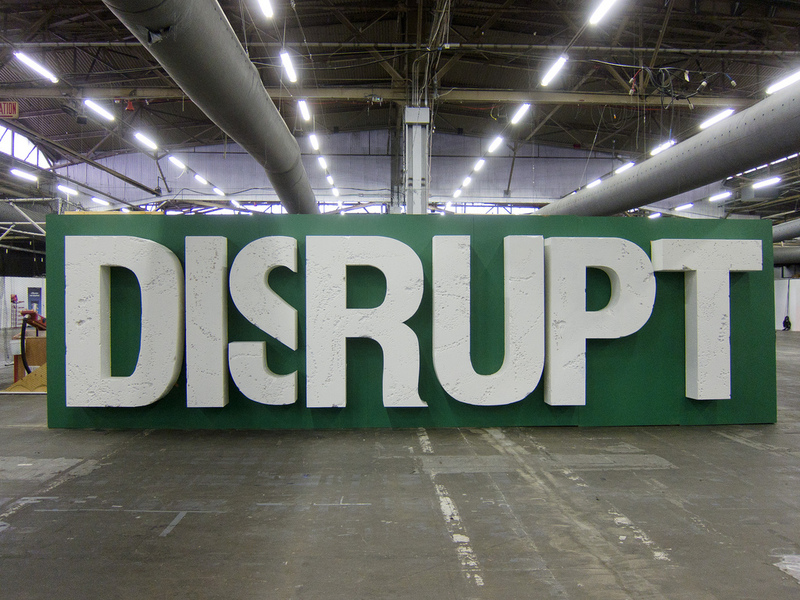 The goal of the disruption template isn’t necessarily a real solution. Disruptors aim to change the way we think about climate and create a bubble of investment that will lead to the startup being acquired by a larger firm at a high valuation. For geoengineering, the larger firm could potentially be a government or major defense contractor. Then there are the distractors. They issue from the multinational fossil fuel giants, and drift into public consciousness on the currents of oil money that flows into politics. The distractors aim to derail serious discussions about climate change by changing the subject. For years, their approach has been to deny that climate change exists. But as that song and dance is falling from favour, they’re adding a new routine: geoengineering. The distractors aren’t opposed to climate science per se; they are mostly concerned with its implication that fossil fuel use has to be massively and rapidly reduced. Distractors have invested millions in casting doubt on climate science. As that approach is discredited, hyping the promise of high tech solutions like Carbon Capture and Storage (which many fossil fuel companies are investing in) and Solar Radiation Management in one of its many forms may come to be considered as an acceptable substitute if it keeps extraction going. Conservative think tanks like American Enterprise Institute and the Cato Institute have lent some tentative support to geoengineering, all while the Trump administration flirted with a “red team, blue team” debate elevating climate denial to a status equal to climate science. Because they’re keeping one foot in the climate denial camp, the positions of the distractors contradict the disruptors on science. But to the extent that they both are supporting geoengineering, they are politically aligned. Disruptors and distractors are heading for collusion, not collision. Disruptors like David Keith maintain that their technologies shouldn’t be understood as an alternative to emissions reductions. Whatever becomes of the technology and its impacts on the planet, the development of geoengineering would have two main effects: a pile of money and global prominence for geoengineers, and further delays to reductions in climate emissions for fossil fuel companies. And that suits disruptors and distractors just fine. But for the majority of the planet’s inhabitants, especially in the global south, it’s a nightmarish convergence. That’s why 110 civil society organizations signed the Hands Off Mother Earth manifesto against geoengineering. Resistance to geoengineering and fossil fuel extraction will continue. A majority are counting on that resistance to not be disrupted or distracted.